It's milking time and the cows have come home! 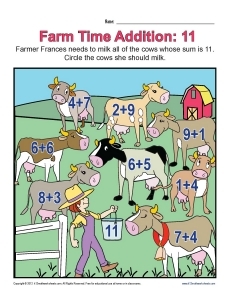 But only the cows whose addition problem has a sum of 11 are going to be milked by Farmer Frances. This worksheet gives your student a fun way to develop addition skills.